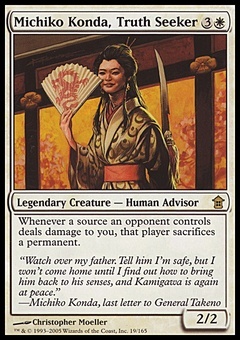 Prophetic Flamespeaker ($0.40) Price History from major stores - Journey Into Nyx - MTGPrice.com Values for Ebay, Amazon and hobby stores! 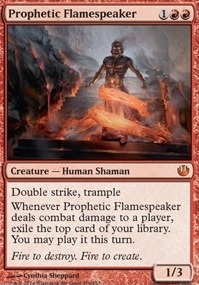 Card Text: Double strike, trample Whenever Prophetic Flamespeaker deals combat damage to a player, exile the top card of your library. You may play it this turn. Flavor Text: Fire to destroy. Fire to create.